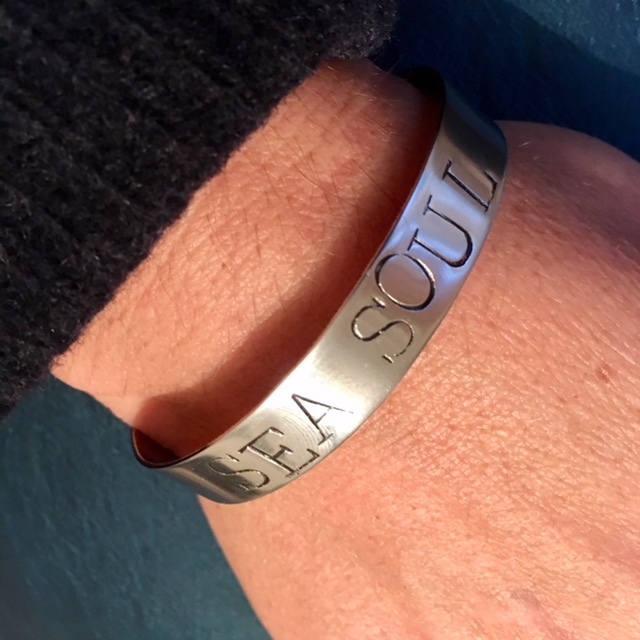 Our cuffs were created especially for Sea Soul Blessings by the very talented Faye Wilson of Stuff Made From Things. 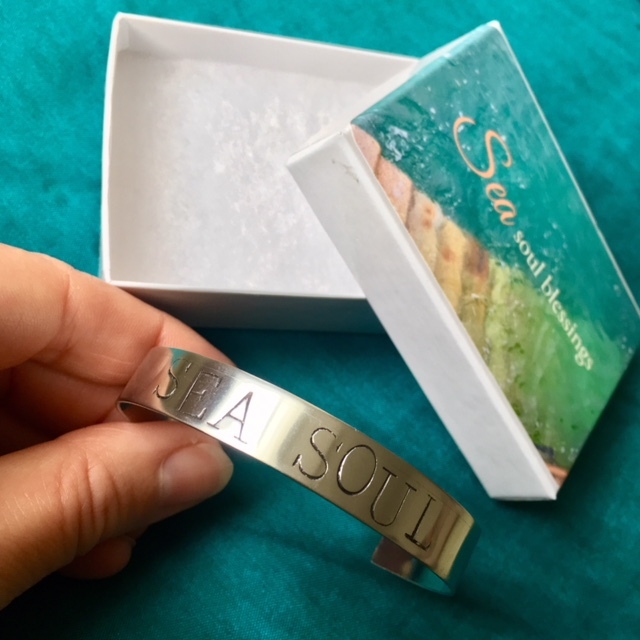 Made by hand, each cuff is one of a kind: the letters of each word are distributed differently on every one, capturing the shifting movement of the sea in a new form each time. Think of your cuff as a wearable piece of the sea’s shimmering silver magic. Whenever you see it on your wrist, or feel it against your skin, you’ll be reminded of your connection to the sea. It's shiny visual inspiration to take time to pause, reflect and tend to your sea soul every day.